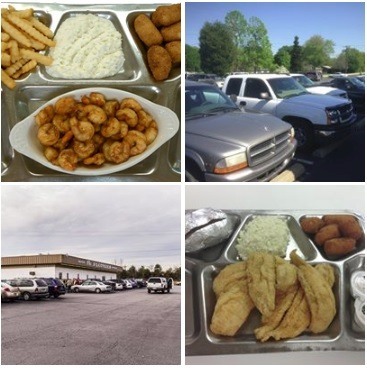 The Flounder is a seafood BBQ restaurant located in Spartanburg, South Carolina 29303. In the menu there is a variety of fish and seafoods, as well as good steaks and chicken. It’s a favorite place by the locals of Spartanburg and also recommended by the official magazine of the city. Visit The Flounder at 160 Barbado Ln. (the place is closed from Sunday to Tuesday).